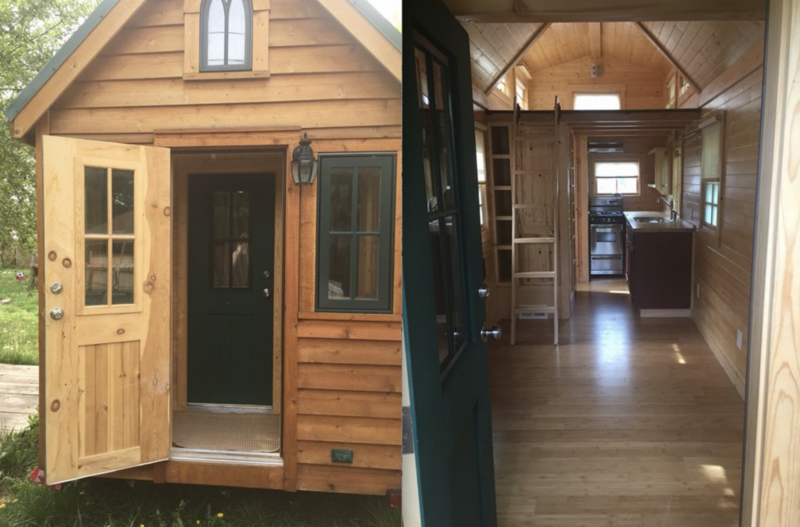 In an effort to bring awareness to benefits of living in smaller spaces, I interviewed Molly King about her recent move to a tiny house. 1. 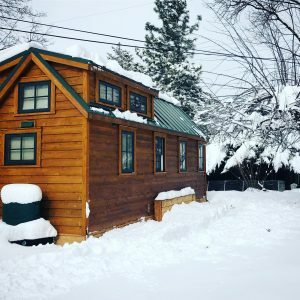 What event or situation prompted you to think about living in a tiny home? I recently realized that my love of tiny homes and cozy spaces, in general, can be traced back to my love of the Boxcar Children books. I always loved the concept of running away and living in a “found space” away from the normal lives of other people. I grew up building forts in the woods, and seeking out small nooks and corners to curl up in. Fast forward to 2016, when I seriously started researching Tiny Living—whether it was in a tinyhome, RV, or van. I learned as much as I could over the course of 8 months, and ended up realizing I didn’t want a mobile living structure—mostly because I still wanted to be in cold environments, and winterizing exterior pipes and dealing with the waste water / electrical seemed like a hassle. I ended up tabling the idea and living in a house in Breckenridge, CO for a year and a half. But the idea of tiny living was always still percolating. I love the word superfluous. It is an adjective and according to dictionary.com, it means being more than is sufficient or required; excessive. It also means unnecessary or needless. But wait, there is more! Obsolete, possessing or spending more than enough or necessary; extravagant. In the Summit Daily News on December 29, 2018, I read the story entitled, Family remembers Arvada man who died following cardiac event at Keystone. The picture shows a smiling man on the ski slopes, Daniel Mares, age 52. He was three years younger than I am, which caught me eye. His first cardiac event killed him without warning on December 22, 2018. The article provided Daniel’s background and a glimpse of his personality and passions. It stated that he was “characterized largely by his effortless intellectualism, a carefree and joyful disposition, and the love he shared with his children.” He had two kids age 23 and 21, who are now struggling to deal with his loss on many levels. This year I read or listened to an average of a book a week. So I had over 50 books to choose from as my favorites for 2018. The following recommendations are the cream of the crop from my perspective. This book was filled with tests. I found it valuable to think about my level of happiness and signature strengths. I thought about what virtues I have and which ones I might want to place more focus upon in the future. I wish I had read the chapter on raising children when my kids were little. I understand more about how I can achieve more lasting happiness. And what I like most about the book is its hopeful and optimistic nature. It was very inspiring and I have recommended it many people. Outstanding! I have been recommending this book right and left to young and older people alike. I found the power posture concept invaluable. The imposter syndrome rang true for me at times in my life. The book is filled with gems and I know I will read it again and soak in even more of its valuable content. Authors, including myself, appreciate honest and positive reviews for their books. You have probably told a friend about a movie that you enjoyed or a restaurant you just discovered. If you take the time to write a review on a book you liked, you are providing a gift to the writer. Here are some ideas and ways to write a review. I will use my latest book, A Chance to Say Goodbye: Reflections on Losing a Parent as an example, but the principles can be applied to any book. First, draft on paper or type on your computer your review. Give it a short title that captures the essence of the book. Think about and then write some stand out points you gleaned from the book. What section was most valuable to you and why? Did you become inspired to take some type of action as a result of what you read? Did the book provoke emotion in you? Why might someone else enjoy or benefit from the book? You will be asked to give it a star rating, 5 being the best on most platforms. Choose that rating when on the review site. If possible, post the review on two or more sites/platforms in case it is lost, hidden or rejected on one for some reason. If you have never written a review on one of those platforms, you may have to establish a brief profile. You do not have purchase on that platform to write a review. However, the platform might reject your review if they think it is overly biased from a friend. You can state that you bought the book at a live event, book signing, etc. Posting the review in more than one place might also ensure it gets posted to at least one. You may want to check back on the site to see if it appears. Be sure to write reviews for more than one author. Spread the love! You will definitely be considered biased if you only write reviews for one person. On Amazon, you will see need to scroll down the page until you see the other reviews. You should find a button that says, “Write a customer review”. Click on that and proceed to the end being sure you “submit” or save when finished. 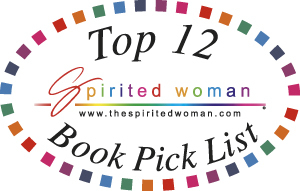 A Chance to Say Goodbye: Reflections on Losing a Parent is now featured on Spirited Woman Top 12 Book Pick List. Check out the many quality books featured on the list!